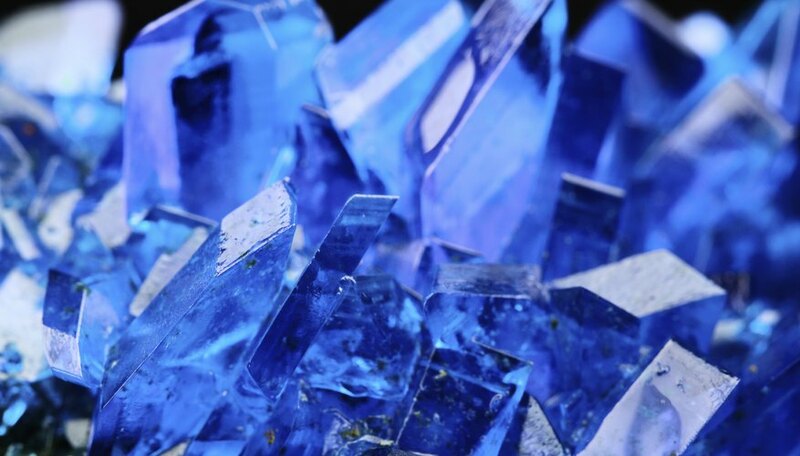 Nearly every solid in nature consists of crystals, although they come in many different shapes, sizes and colors, from valuable crystals like diamonds and rubies to individual grains of sugar and salt. If you look at salt through a microscope, you’ll see it is made of tiny cube-shaped crystals. Sugar crystals, on the other hand, are oblong-shaped with slanted ends. Common crystal science projects use salt, Epsom salt, borax and sugar dissolved in a solution of water. Crystals grow faster in warmer temperatures because the liquid holding the dissolved material evaporates rapidly. 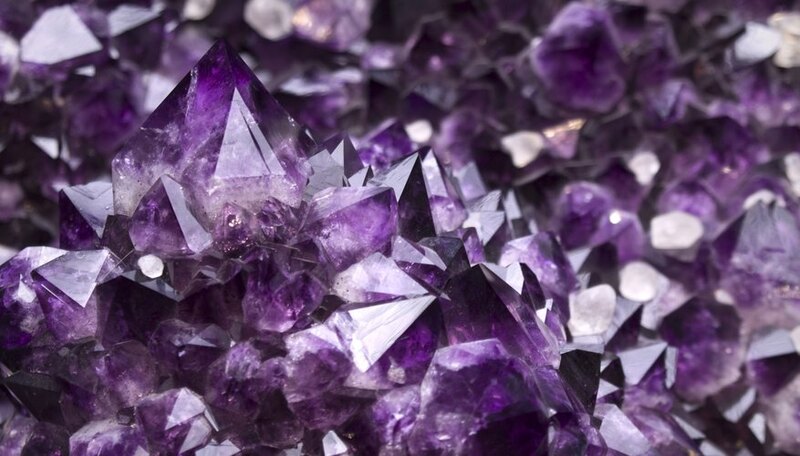 Some crystals, such as granite, form when molten rock cools and hardens, while others form when water containing dissolved minerals, such as salt and sugar, evaporate. In both instances, the minerals’ atoms join to form solids in consistent recurring patterns, making the crystals strong and hard. This process is known as crystallization. Crystals formed by a specific mineral always follow the same growth pattern; salt crystals always look like salt crystals and not like sugar crystals. 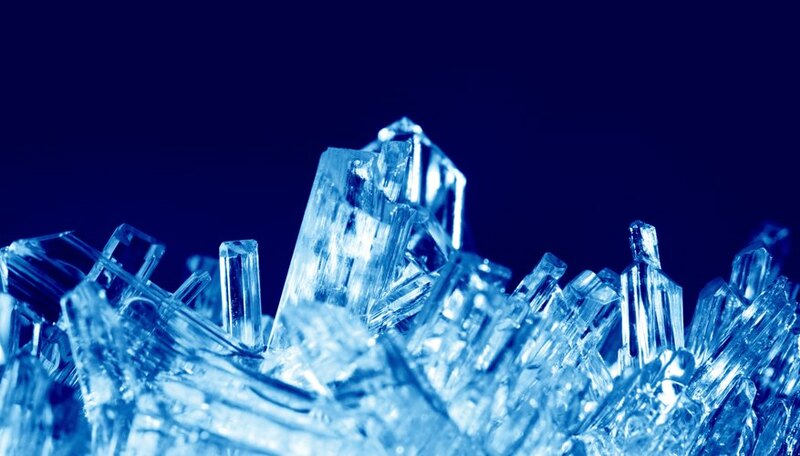 Variables that control crystal growth include the amount of dissolved material, evaporation, pressure and temperature. The higher the amount of dissolved material in the water and the more pressure that is placed on the material, the bigger the crystals will grow. If the water evaporates slowly from the solution, relatively few crystals are started, and these have time to grow fairly large before the water is gone. However, if the water evaporates quickly, more crystals start to grow, but they don't have time to grow as large. Temperature has a clear effect on the growth rate of salt crystals. If you carry out an experiment with salt solutions, one at room temperature, one at a colder temperature and one at a warmer temperature, you see that the warm temperature sample grows crystals faster than both the other samples, and the room temperature sample grows faster than the cold sample. This is because a higher temperature increases the rate of evaporation of the solvent, thereby speeding up the rate of growth. Different temperatures produce different amounts of crystals. Colder solutions contract, forcing minerals closer together, so they create bonds, catching impurities in their structure at the same time. 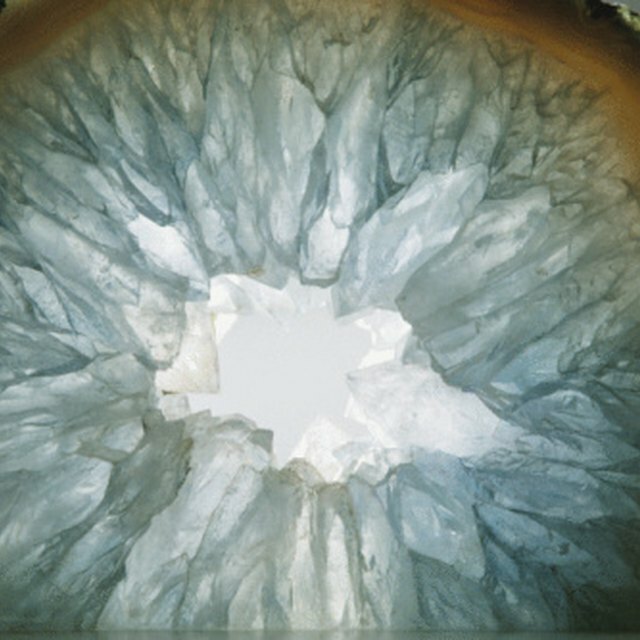 These impurities interrupt the crystal pattern, forming a larger number of smaller crystals. In warmer temperatures, the distance between molecules is greater, which allows crystals to form larger, purer shapes at a much more uniform rate than can occur at colder temperatures. Molecular Expressions: What Variables Affect Crystal Growth? Gillespie, Claire. "How Does Temp Affect the Growth Rate of Crystals?" Sciencing, https://sciencing.com/temp-affect-growth-rate-crystals-6318908.html. 26 April 2018.